Appearance: Silver background with white veins and occasional yellow details. 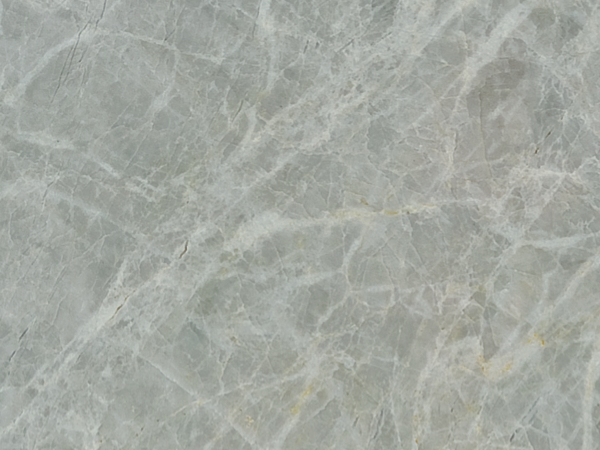 The same quarry delivers two varieties of this marble: the darker colour tone of Argento Scuro and a lighter version, commercially known as Argento Chiaro. Properties: Mineralogically formed by calcite for 97%, Argento marble is a crystallised marble with excellent physical, mechanical and technical characteristics: it is strong (compression strength: 109.4 MPa), hard (micro-hardness Knoop: 1.44×103 MPa), frost resistant and durable (abrasion coefficient: 0.40). Colour variations and movement occur, even in the same batch. It is recommended to seal this stone. Use: Due to its excellent performance and properties, Argento marble – in both Scuro and Chiaro version – is suitable for most applications, both internally and externally, including flooring, wall cladding, stairs, fireplaces, vanity tops and shower trays. Like most marbles, special care is required for kitchen worktops and other surfaces subject to acid liquids (e.g. lemon juice and vinegar), which would take the shine off and cause discolouration. This phenomenon occurs with all finishes, but is more visible with a polished finish. Formats: Tiles, slabs (20 and 30mm thick) and cut-to-size. Finishes: Polished, honed and other bespoke finishes (upon request).